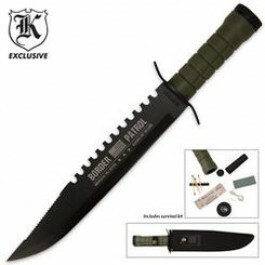 Buy Survival Border Patrol Bowie with Sheath , from Budk - RBC VISA for $12.99 only in My e-commerce. 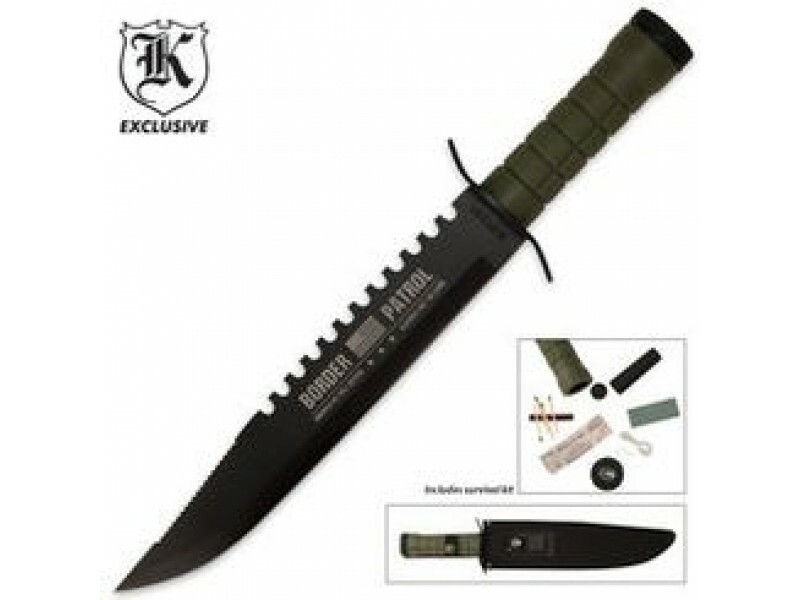 This Border Patrol Survival Bowie features an 11" 3CR13 stainless steel blade with double sawback serrations. An exclusive Border Patrol etch adds to the beauty of this piece! This Bowie includes a survival kit in the handle as well as a sharpening stone that is stored in the included nylon sheath. 16" overall.